Councilmember Mike Bonin, West LA Sawtelle Neighborhood Council, and West LA Community Coalition are joining forces to beautify our community. We love public art, and are bringing the "Utility Box Art Project" to West LA as a way of adding more neighborhood character to local utility boxes with fresh, inspiring designs. 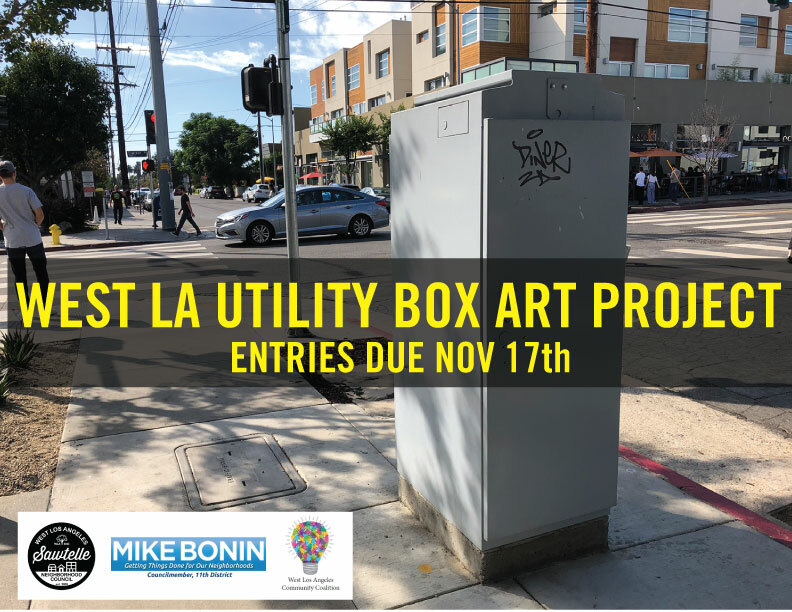 Local artists with an idea for a utility box in West LA, should submit a propos al by November 17, 2017. Below are the list of requirements for the design proposal. All proposals should be submitted by November 17, 2017 to enakamura@wlanc.com. Late submissions will not be considered.